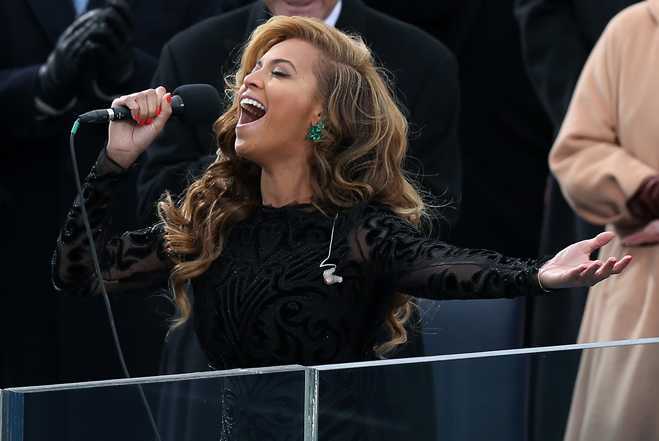 If you’re anything like me, you are sick to death of the Beyonce Inauguration story by now. On the one hand we have those such as the commentators on Fox news last night comparing Beyonce's lip-synching with fraud, and on the other, we have the Beyonce Stan’s (i.e. extreme, die-hard fans) defending her to the death. Somewhere in the middle we have those, such as me that don't really care, or who know a little something about performing and see how minor & common this little situation is as it pertains to performing in certain venues and temperatures. What amazes me is that today, with bigger issues and topics to talk about, that this is making news. I'm by no means surprised, because that is just the way things our society seems to operate. I even acknowledge that this existence of this column just proves that. But what I struggle to understand is why is this news? Oh that’s right, because our society is celebrity obsessed. Now, before I begin, I have to confess that I am not someone that categorizes herself as a Beyonce fan. I like some of her music, but as I have learned over the years, there seem to be degrees of fan-dom as it applies to Beyonce. On one end of the spectrum you have those that don’t care for her or her music at all. These are the people you have saying she’s overrated and questioning why she was chosen to perform the national anthem for the inauguration in the first place. On the opposite end of the spectrum you have the self-described "Stan's" or Bey-hive, who run amuck on social media and online. Amidst this controversy, they have been quick to point out to anyone, as their main point of defense, that Beyonce is so much better than anyone else that her lip syncing, or doing anything else you don't like, doesn't matter. It seems that people, such as myself, that like some of her music but don’t really care about seeing her in concert or needing to know the latest gossip about her, don’t really have a place in this discussion. Instead the discussion about Beyonce seems to be primarily between two extreme factions which lead many of us with this one question: what is the big deal? To begin with, let’s address the singing along with a recording issue. Here’s the thing: lip-syncing at public performances like the Inauguration happens all the time. Anyone with a background in singing or music can tell you that cold weather and vocals are not a good combination. Additionally, the acoustics in large arenas such as stadiums, arenas, and the National Mall can make singing over a recording a common choice. True it was colder in 2009 when Aretha Franklin sang & she still performed live. True Kelly Clarkson and James Taylor sang live. But at the end of the day, circumstances affect people differently. Also, news reports say was not able to practice with the marine band live, which would have of course affected the performance. That being said, considering that everyone else performed live, does take away a little from Beyonce’s performance. But we all know she is a good performer, so again, what’s the big deal? But really when you look at this situation, it speaks to the perverseness of celebrity worship we have in our society. Undoubtedly President Obama’s speech should have been the highlight of the Inauguration. But being in the crowd, I can testify that there were people there who, aside from President Obama, were there to see Beyonce. Regardless of how her performance went, there would have been something about it that would have made headlines just because people would need to say something about her. It’s almost like a sick game our society plays. We put our celebrities on pedestals and expect them to be perfect, while at the same time examining and dissecting everything they do looking for flaws. In the midst of that you have two factions of people: those that glorify their favorite celebrities and hesitate to ever criticize or critique them, and those who are quick to criticize and pick flaws about everything. This situation just serves as an example of how things are today, in that there is not a space to being neutral and objective as it pertains to discussing celebrities. You risk being dismissed regardless of what you say if you don’t adhere to one of the two sides. Since our celebrity obsession is not likely to disappear anytime soon, I think we should just find a middle ground to discuss and move on. 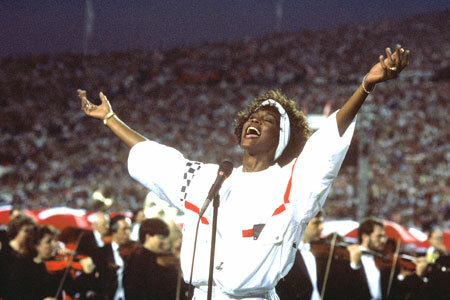 Her performance, regardless of the opinion on it, didn’t take away from the awesomeness of the ceremony. But if people must focus on it, the debate really shouldn’t be as extreme as it has been where there are ethics advisors, as on Fox news, weighing in on it. She didn’t sing live. It would have been cooler if she did, but the recording was good. There. What’s so bad about saying that? Enough already. What do you think, should this be an issue?